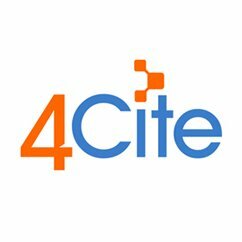 4Cite is a Consumer Insights & Interaction services provider that uses proprietary web visitor identification, advanced data and analytics and Send-Time Perfection™ with Shopping Elsewhere Triggers™ email technology to enable e-commerce retailers to influence their customer’s purchasing activity and optimize conversion rates. The 4Cite platform allows you to identify more customers and engage them in real time in order to increase revenue. 4Cite's triggered emails contain personalized messages and offers that influence purchasing and foster brand loyalty. The platform uses industry-leading customer data to predict when consumers are most likely to buy, and which offers will incentivize a purchase. Data points ranging from the start and end times of a website visit to the contents of abandoned shopping carts help 4Cite target your customers with personalized marketing. With everything from full-color direct mail postcards to customized in-app push notifications, 4Cite's data increases customer spend and customer loyalty.